About 252 Special advisers and Special assistants appointed by Sokoto State Governor. Aminu Tambuwal have resigned their appointments. 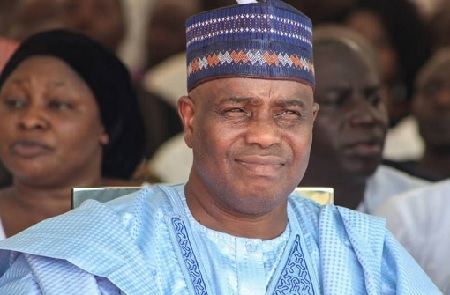 Special Adviser Ibrahim Haske and spokesman for the aides, told a news conference in Sokoto yesterday that their decision followed Governor Tambuwal’s defection from the All Progressives Congress (APC) to the PDP. “We were appointed based on the position that APC is the political party governing the state and now that the government belongs to PDP, we have no option other than to resign. “We are bonafide members of APC and our position has always remained same; we therefore resign voluntarily from the PDP government,” Haske said. Haske, a former Sokoto South Local Government Chairman, added that the decision was based on their desire to support APC to deliver on its mandate after the 2019 general elections. Sokoto State APC Chairman Alhaji Sadiq Achida commended the former aides for their demonstration of loyalty to the party. However, in a statement, Spokesman of the Governor Abubakar Shekara, said. The governor's opinion is a welcome idea. They should go and work with the ministry. If there is vecancies for them. The present federal government ignores the rule of law, the Judiciary and legislative arm of government. The respect of other arms of government in this present regime is negative.